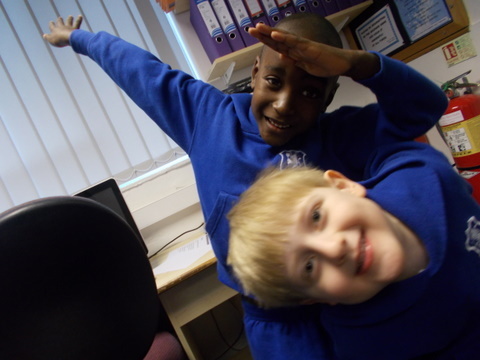 Reception were introduced to the world of digital media today as they learned how to take photographs using a digital camera during their Computing lesson. They learned about the lens, shutter and view finder, and how to hold the camera steady when taking their pictures. Not every picture was fantastic, but we’re sure you’ll agree there are some excellent pictures in this collection – and we’ve certainly got some posers in Early Years! We had a brilliant time, excellent photos Reception class.